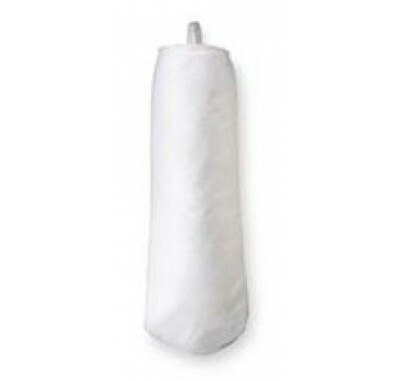 The Pentek KO50G2S polypropylene felt filter bag features multi-layered filtering capabilities for greater dirt-holding potential and fewer bag changeouts. These bags are great, economical filtration for a wide array of applications, including filtering paints, inks, coatings and water for general industrial and commercial use. The KO50G2S filter is manufactured under controlled procedures for consistent quality, added strength and no contamination. It can withstand temperatures as high as 200F. The Pentek Polypropylene Bag Filter fits Pentek Carbon Steel, Stainless Steel and Aluminum Housings that accept number 2 filter bags. Filters dirt, debris and coarse sediment to the 50 micron level. Equipped with a handle for quick and easy filter changes. Manufactured with a galvanized carbon steel ring sewn into the top of the filter bag. Polypropylene felt with a glazed finish.